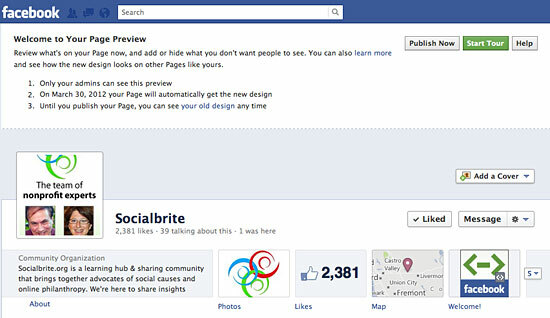 Socialbrite has not yet switched over to the new Timeline — but we will by Friday! Editor’s note: Facebook is switching over all nonprofit and business pages to the new Timeline format this Friday, March 30. Because so many organizations haven’t yet made the move, or are still figuring out the best approach, we’re devoting this week to help you get ready to make the transition smartly. Contact Socialbrite if you need help. • Thursday: What story should you tell in Facebook Timeline? If you are an administrator for your organization’s Facebook page, you’ve no doubt noticed the alert that invites you to preview the look of your new page with the option of publishing it for all the world to see. Between now and March 30, only page administrators can see the changes, if you haven’t set it live yet. On Friday, Facebook will flip the switch for everyone. Many large nonprofits and big brands already have. 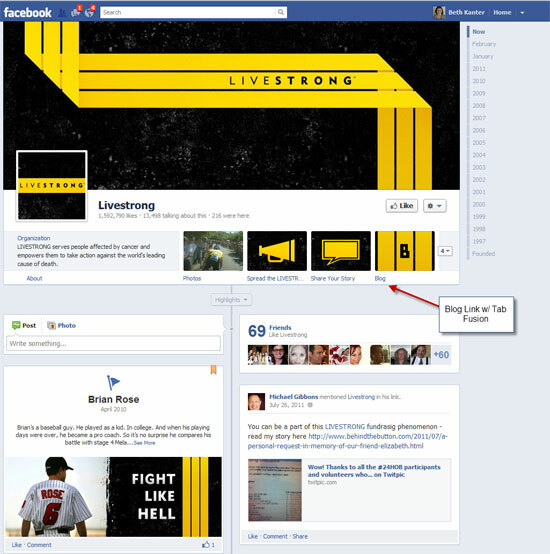 Livestrong is one of the nonprofit early adopters that has published its brand page using the new format. Others are exploring and testing and fixing glitches or simply checking out the new features, like the administrator’s dashboard. Time is runnnig out, so you have a few days left to review the changes, figure out a strategy and implement the changes. 1Strategy and work flow. Understand how the changes impact your editorial strategy and how you will administrator the page. I shared a couple of resources and tips that you can use to have a brief strategy discussion with your team. After you have identified how you will integrate your branding strategy, revise your editorial/content strategy, and administrative work flow, you’re ready to get into some nitty gritty.